Indian Institute of Management (IIM) Ahmedabad conducted Cluster 3 of the Summer Placement Process for the PGP Class of 2019 yesterday. Ahmedabad: Indian Institute of Management (IIM) Ahmedabad conducted Cluster 3 of the Summer Placement Process for the PGP Class of 2019 yesterday. The companies that visited campus in Cluster 3 comprised various cohorts including Consumer Technology, Pharma and Healthcare, Social Enterprises and NGOs, Banking, Financial Services and Insurance and Core Manufacturing, among others. A total of more than 50 firms participated in this cluster. FinIQ made the highest number of offers in this cluster, with 10 offers. Key recruiters in the Consumer Technology cohort were Microsoft and Uber. 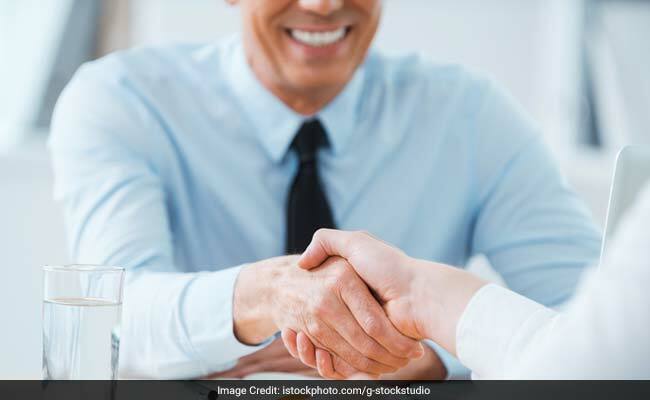 Among the Banking, Financial Services & Insurance recruiters, American Express, Axis Bank, DBS Bank, the Reserve Bank of India and RBL Bank were some of the recruiters who extended offers. Pharma and Healthcare firms like Abbott, AstraZeneca and Dr Reddy's Laboratories, participated actively. The Core Manufacturing cohort included firms like Bajaj Auto and Vedanta. The Renewable Energy and Green Tech cohort saw active participation from Amplus Solar, Mytrah Energy and ReNew Power. Sprinklr was a major recruiter in the Enterprise Technology cohort. IIM Ahmedabad concluded the summer placement process 2017 within 3 clusters. IIM Ahmedabad's first cluster of the Summers Placement process for the PGP class of 2019 was held on November 6 and it witnessed a large pool of recruiters taking part in it. Management consultation firm Accenture Strategy was top recruiter with 19 offers where more than 35 firms participated in the cluster 1 of Summer Placements process. Cluster 2 was held on November 9 and the companies that visited campus in comprised various cohorts including Consumer Goods, General Management & Leadership, Government Enterprises, Advisory Consulting, and Consumer Services. More than 45 firms participated in this cluster. Consumer Goods & Services included regular recruiters like AB InBev, Airtel, HUL, Mondelez, P&G, Reckitt Benckiser, Star TV, and Wipro, among others. The RPG Group made 14 offers whereas the Aditya Birla Group made 10 offers in cluster 2.